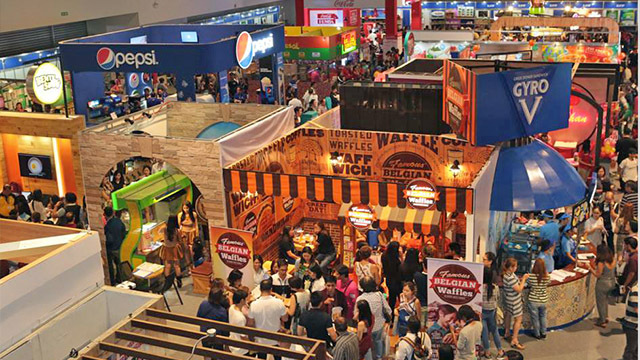 The Philippine Franchise Association (PFA), which organizes the largest franchising event in Asia, Franchise Asia Expo, is bringing in foreign buyers from neighboring countries for the first time to the week-long series of events at the SMX Convention Center near the SM Mall of Asia in Pasay City. In an interview with Entrepreneur Philippines, PFA Chairman Emeritus Samie Lim said the organization is flying in around 20 to 30 investors and business buyers from Thailand, Vietnam, Myanmar, Indonesia and Taiwan to Franchise Asia Expo 2018, to help local franchising brands find international partners and expand in Asia. “We are luring in buyers, business people, who want to bring in Philippine brands [to their home countries],” said Lim, who is considered “the father of franchising” in the Philippines for his pioneering role in promoting and organizing the sector. “This is the first time we’re doing this. Other countries have done it and we’re just playing catch up,” he said. The Franchise Asia Expo 2018, set to be held from July 20 to 22 in SMX Convention Center in Pasay City, will showcase 700 brands, 80 percent of which are homegrown. Some of the local businesses that are set to participate in the event are Potato Corner, Max’s and Bo’s Coffee—brands that have successfully expanded their businesses to foreign shores. Apart from the expo, the PFA is also hosting the International Franchise Conference on July 18 and 19 and a series of educational franchise seminars also happening on July 20 to 22. Lim said the PFA aims not only to help Philippine business owners look for foreign franchise brands but now wants to promote Philippine franchise concepts to international investors. Samie Lim is widely considered as the "Father of Philippine Franchising"
Lim said PFA first got the idea when countries like South Korea and Taiwan invited foreign buyers in their franchising expos with their respective governments as sponsors. With PFA’s initiative, Lim is hopeful the Philippine government would do the same in the future. Lim said the Philippine government is subsidizing trips of potential foreign buyers during furniture exhibitions and food festivals but has yet to help defray the cost of attracting international buyers of Philippine franchise brands. “The government is doing this for furniture buyers, even for food festivals [held here in the country]. But this one, we’re exporting businesses, hundreds of them, and it’s not just a one-time purchase. These are long-term export brands,” he explained. In the Philippines alone, Lim estimated that the whole sector employs around 1.2 million Filipinos, a number that is still expected to rise in the coming years. 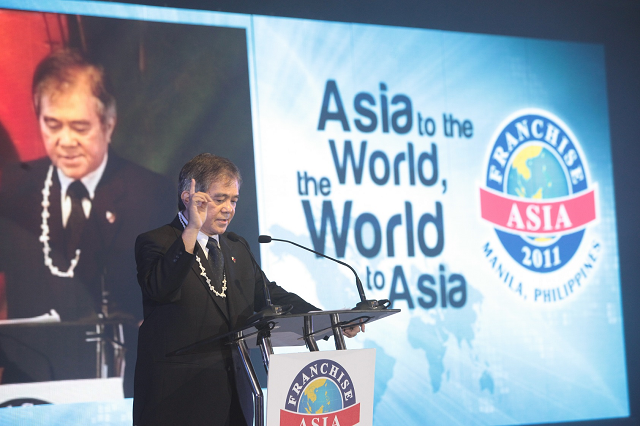 The Franchise Asia Expo is one of the many factors to thank for its continuous growth. This year, the three-day affair is set to attract Php3 billion worth of investments based on the historical performance of the participants’ total amount of franchising packages inked and sold in recent years. With PFA’s invitation of foreign buyers, Lim is hoping that it would serve as the springboard needed by the sector for wider international expansion. Entrepreneur Philippines is a media partner of the PFA in Franchise Asia Expo 2018.